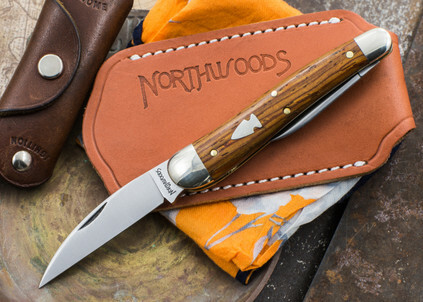 Since the moment that Northwoods Knives became our own, I've been proud of what we've done -- but I don't remember ever been as excited about the introduction of one particular knife as I am about the Northwoods Willamette Whittler. 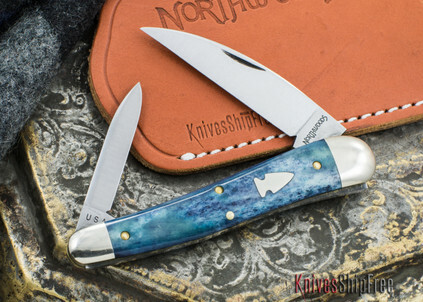 This is my kind of slipjoint. We named it "Willamette" after the broad, fertile plain that in many ways is the heart of Oregon. 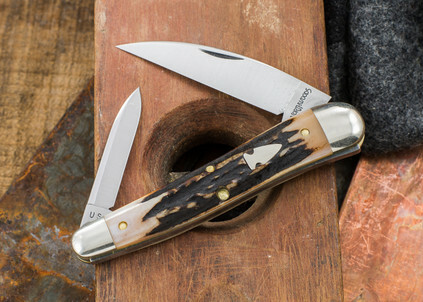 Just as the Willamette region is the pulse of the state, so we believe the Willamette Whittler to be an essential traditional pocketknife. 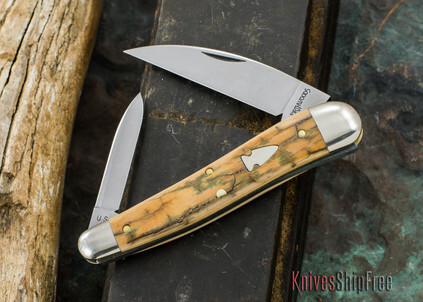 Made for us by Great Eastern Cutlery, this slim, 3-7/8" serpentine pattern is our two-blade take on the time-tested whittler. The blades are the profiles we're asked for most often -- a wharncliffe main and a pen second. They're crafted of 1095 carbon steel and ride on a single backspring. The bolsters are nickel-silver. 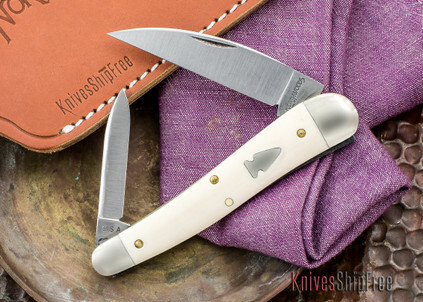 The Northwoods Willamette Whittler ships in a KnivesShipFree Leather PocketSlip. I absolutely love this knife. I believe you'll love it, too.